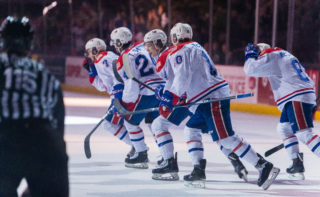 The Spokane Chiefs lost in a shootout in their fourth pre-season game of the year in Kennewick on Thursday afternoon, 6-5 to the Portland Winterhawks. 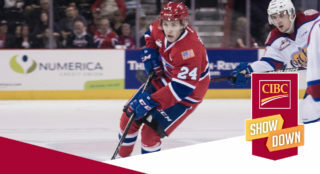 Defenseman Luke Gallagher led the Chiefs with three points. 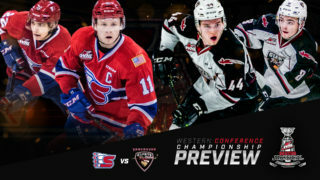 Spokane fell into a three-goal deficit early, allowing the first three goals of the game to the Winterhawks in the first period, including two within just 17 seconds in the 17th minute. 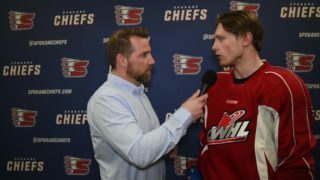 The Chiefs bounced back in the middle frame, scoring three goals in under two minutes midway through the period, beginning with Riley Woods’ first of the exhibition slate at the 10:35 mark. 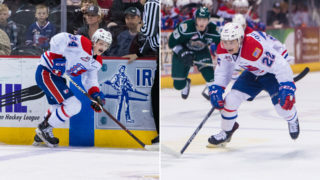 Rookie Adam Beckman scored his first goal in a Chiefs sweater at the 11:38 mark and Gallagher closed the scoring for the period with his first on a power play at 12:12. 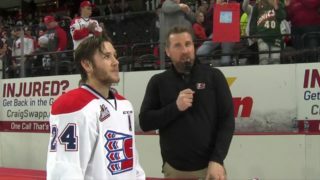 Third-year forward Hayden Ostir punched in his fourth of the pre-season with a man advantage early in the third period before rookie blueliner Tyson Feist got in on the action and made it a 5-3 game with 5:44 left in regulation. The Winterhawks refused to give up, scoring twice in the last three minutes of the third, including Brad Ginnell’s tying goal at the 18:16 mark. After a scoreless overtime, Ilijah Colina scored the only goal of the shootout to give Portland the win. Spokane was outshot 29-34 in the game. They went 3-for-9 on the power play and 7-for-7 on the penalty kill. Declan Hobbs earned the start in goal for Spokane and went the full 65 minutes, making 29 saves, while Shane Farkas started for the Hawks and made 24 saves. Spokane (2-2-0-0) continues their pre-season schedule tomorrow in Kennewick, facing the Seattle Thunderbirds for the second time at 3 p.m.